Tired of the foldable phone rumours? Well, guess what! It’s finally happening. Samsung’s head of mobile confirmed this week, that it is “time to deliver” foldable smartphones. And when it does happen, it'll be one of the most exciting developments in smartphone history. Here's a list of things we’re expecting, and hoping to see from Samsung’s first foldable phone. Of course, this isn’t the first we’ve heard of a foldable Samsung phone. Rumours have been brewing for years, following patents of a foldable device reported to be named the Galaxy X. The X is expected to feature a tablet-like 7-inch OLED screen that folds in half. The thinking here, is that your phone can double up as a tablet when needed. And that’s great for all sorts of things. You could watch a movie on the train, on a device that folds right back up once you’ve reached your destination, or play the latest games on a larger screen that does them justice. 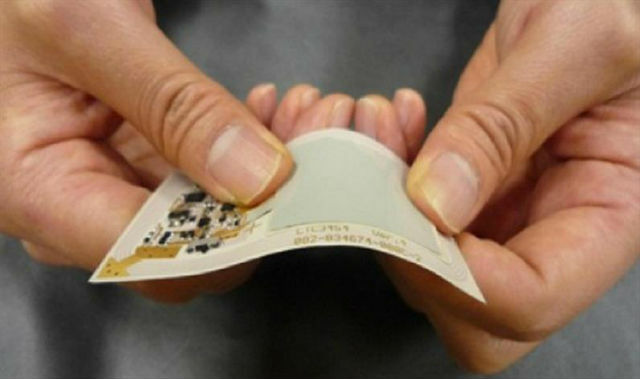 Samsung first introduced its flexible OLED display way back at CES 2013.The screen was as thin as a piece of card, made from plastic, and bended both ways. Phones are already super-thin, but if we are to get foldable phones, they will need to be even thinner. And that means they will be more portable, and be able to fit into smaller pockets. That little pocket on your jeans will finally come in handy. It’s almost a given that foldable phone screens will be larger than those on your average smartphone, and that’s great. What’s even more exciting is that a foldable Samsung phone could have not one, or two, but three screens. In theory you could have one screen on the front for notifications and texts, and then two screens inside, that combine to form one large display once you open the device out like a tablet. You could even use that first screen as your primary display, just like a regular phone, and use the other two only if you need more working space, or want to watch movies on something larger. Today’s smartphones are great at multitasking, the only problem is they only offer so much screen space for it. A flexible screen could transform a single screen into two displays, so it’ll feel like you’ve got an extra phone screen to work on. For example, you could have YouTube on one screen, and Microsoft Word on the other. Whatever helps you get things done. Any type of flexible or foldable display is likely to be thinner than the one you have on your phone right now. It may not even be made from glass, which means it won’t break even if it’s dropped. We can hear the sighs of relief from here. And those are just some of the things to look forward to from a foldable phone. What else are you expecting, or hoping for? Do let us know in the comments below.